Promotional lanyards are a great way to bring about a sense of pride and unity amongst your employees, and are an excellent branded merchandise item to use at trade shows, conferences, exhibitions and other functions. 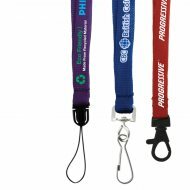 A custom branded lanyard can be used as a promotional giveaway but also used to attach membership cards, identification cards, keys and more. 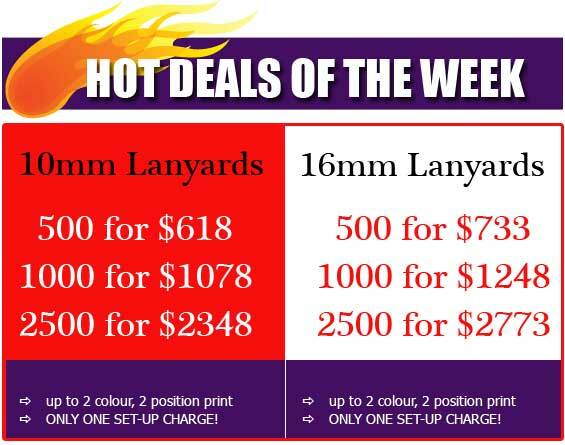 Vivid Promotions is offering some amazing specials of more than 20% off on a range of different lanyards. Here we have showcased just two of the specials on offer, but if you are after a particular size or style not shown here, please check with our sales staff to see if it also qualifies for a discount as we are offering this amazing special across a majority of our lanyards. In addition to the promotional lanyards on sale, Vivid Promotions also supplies custom lanyards in many different styles and sizes. We even have environmentally friendly lanyards which are eco friendly and perfect for the environmentally conscious company. There is also a range of different lanyard attachments available to help customise your logo lanyards to your exact requirements. This amazing special pricing is available until the end of August 2011. Listed prices do not include 10% GST and delivery charges.